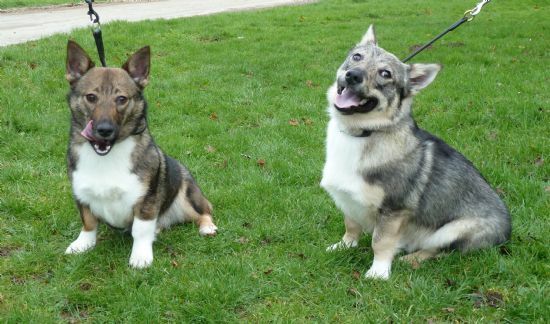 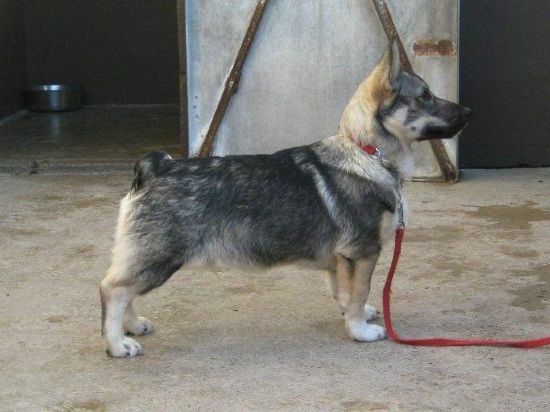 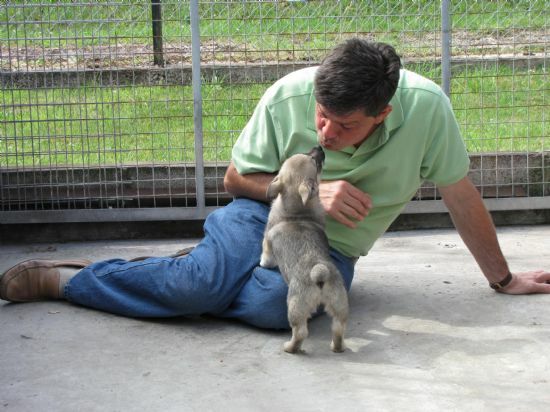 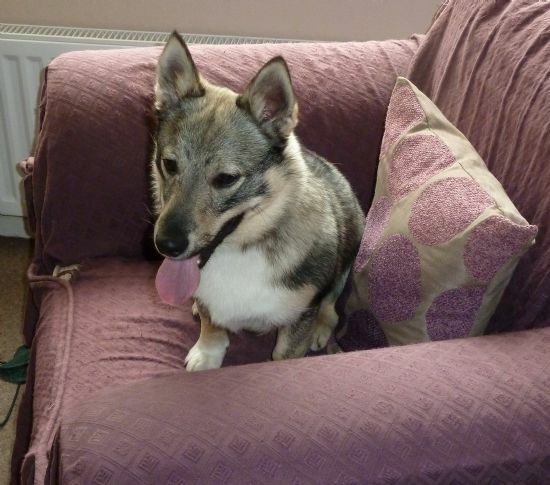 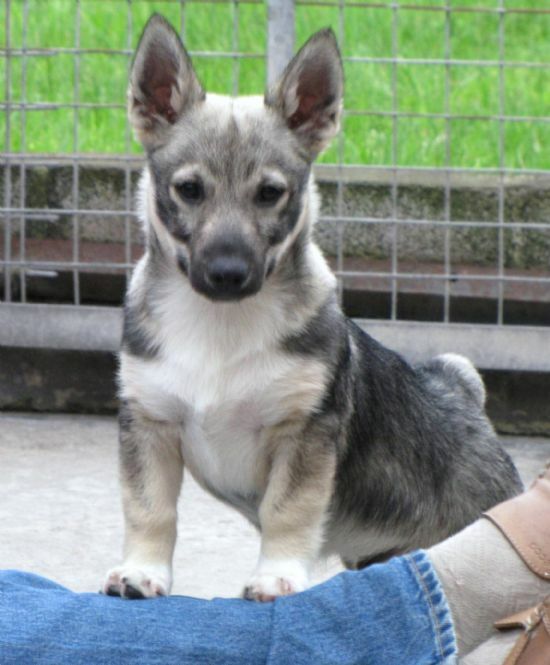 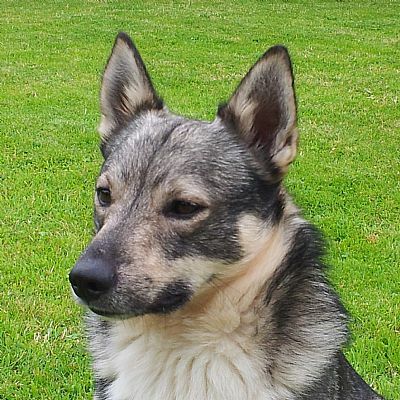 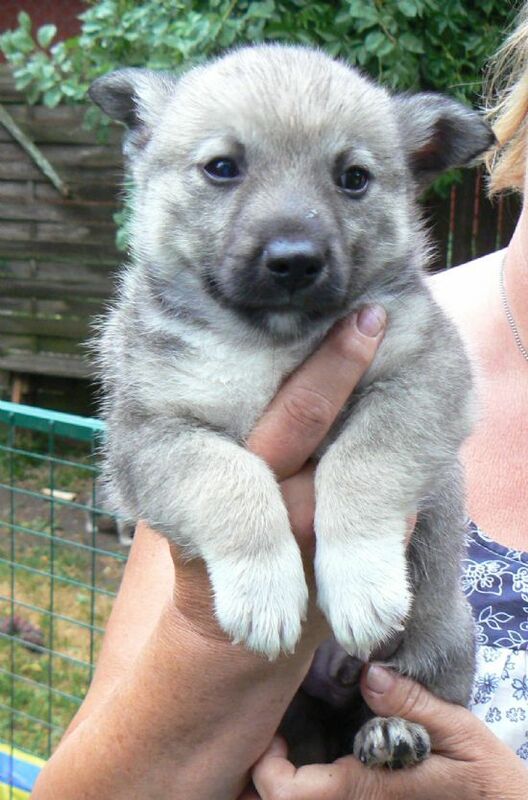 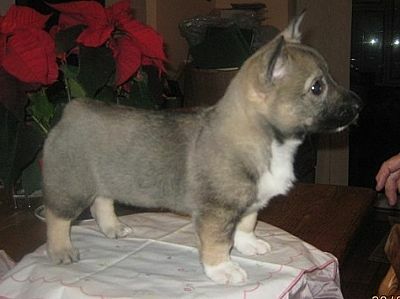 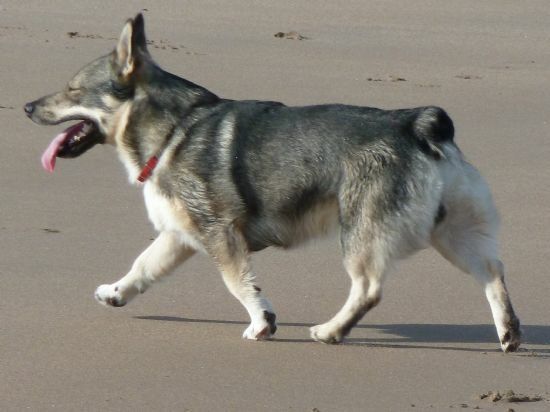 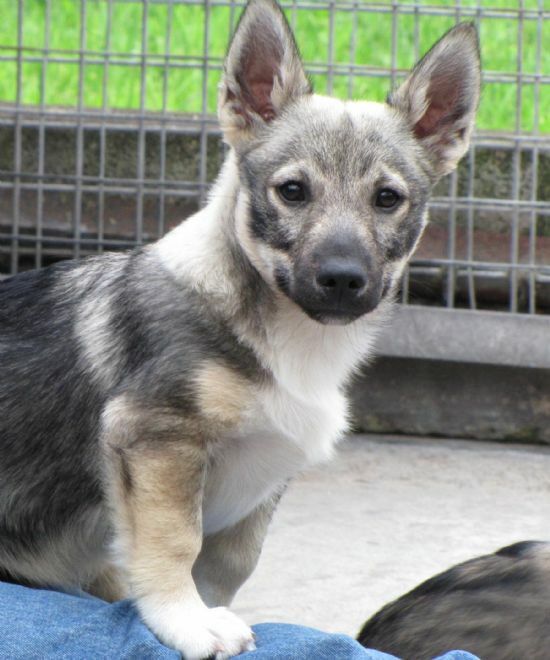 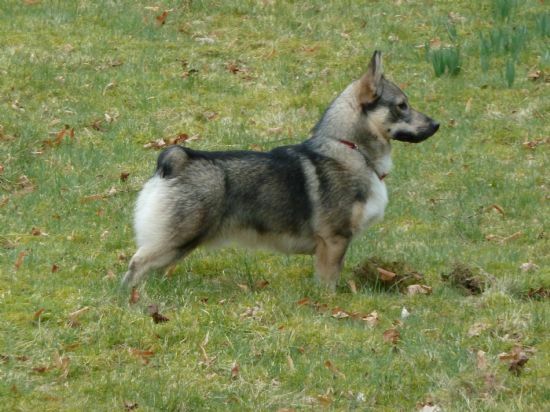 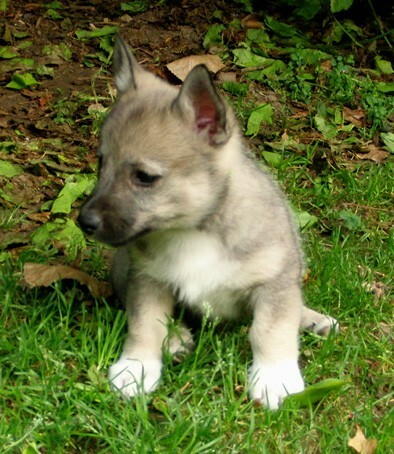 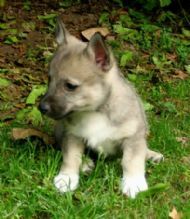 This little chap, our Swedish Vallhund came to the UK from the Tridents kennel in Sweden. He finished his six month spell in quarantine and joined the family in early February 2011. 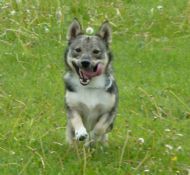 He is such a happy, layed back little chap nothing at the moment appears to bother him. 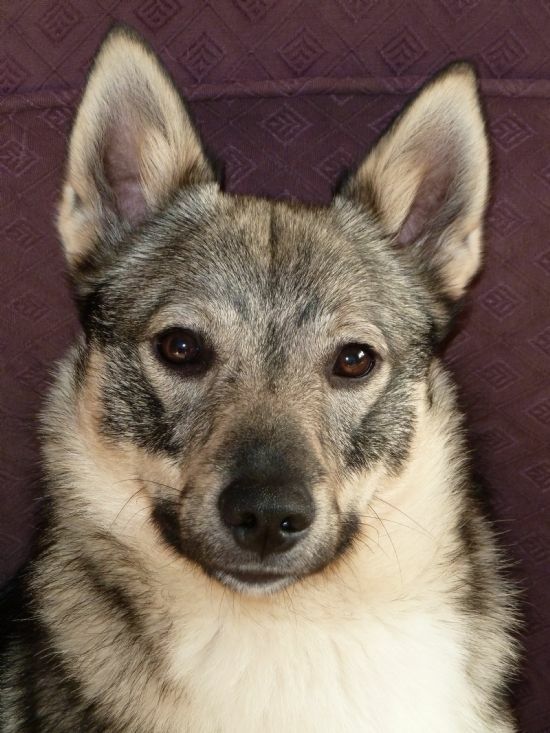 Mikke enjoys having the girls to play with and is always trying to heard them together. 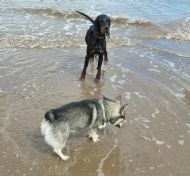 His favourite pal is Paisley, in fact, where ever she goes Mikke is with her, even if this means going in the water, something he really is not keen on doing. Mikke is producing quality puppies with his good looks, some of his progeny are seen below. 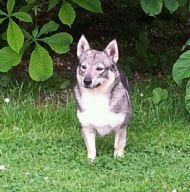 Mikke & his travelling companion Vanja. 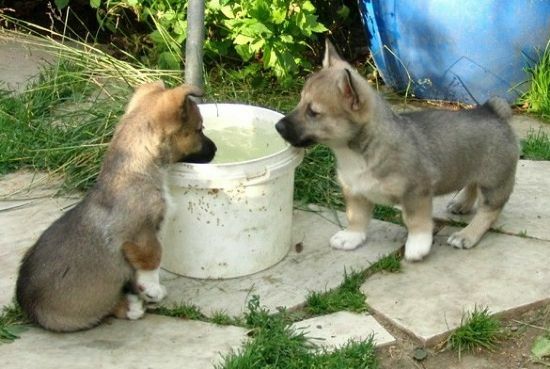 Meeting Dad for the first time. Mikke - 13 wks old and growing fast. Training coming along well ! 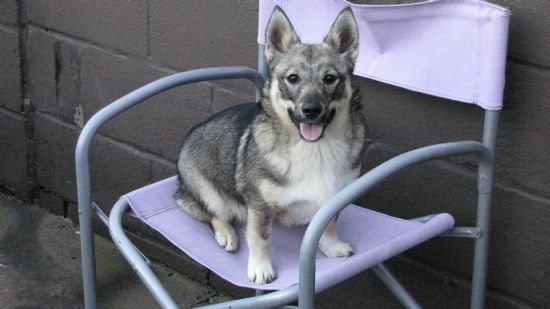 One of Mikke's many little tricks....he loves jumping on my chair when I get up and gives a really happy grin. 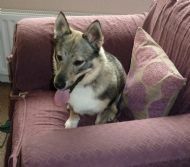 Just making myself feel at home !! If Paisley can go in the sea, so can I. 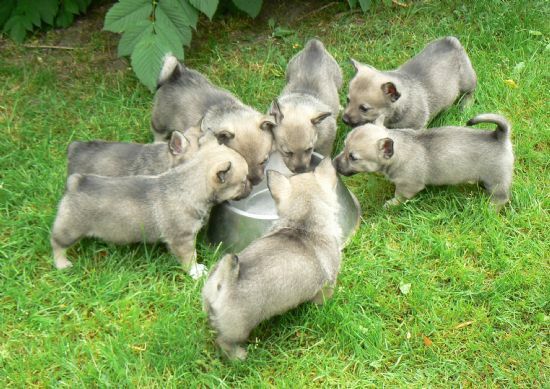 And off we go !! 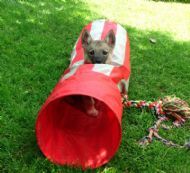 Taken on Mikke's birthday outing.